Our People Realize our Values. ...generate opportunities for our employees to fulfill professional aspirations and advance professional development toward PROSPERITY for all. ...seek talented individuals who work with PASSION and are committed to making our vision a reality: to operate a world-class diamond mining company. ...nurture a climate of RESPECT and inclusion through open communication by and between all levels of the organization and embrace and value diversity of people and culture as a source of our success. ...pride ourselves on working with INTEGRITY, honesty and strong moral principles. ...value each individual as an integral part of the team. Each person offers his/her talents to the success of the project. Stornoway exists only through the contribution of every person. Through encouraging and supporting TEAMWORK, we are working together to build history and redefine a sustainable future. For the Cree Hunters of Mistissini, https://www.nfb.ca/film/cree_hunters. (right side, just scroll down): http://www.gcc.ca/. Stornoway is a culmination of individuals from all over the world who came together to build the Renard Mine – redefining a sustainable future. In total, over 30 nationalities work together with respect and passion at Stornoway, the majority hailing from the Cree Nation. 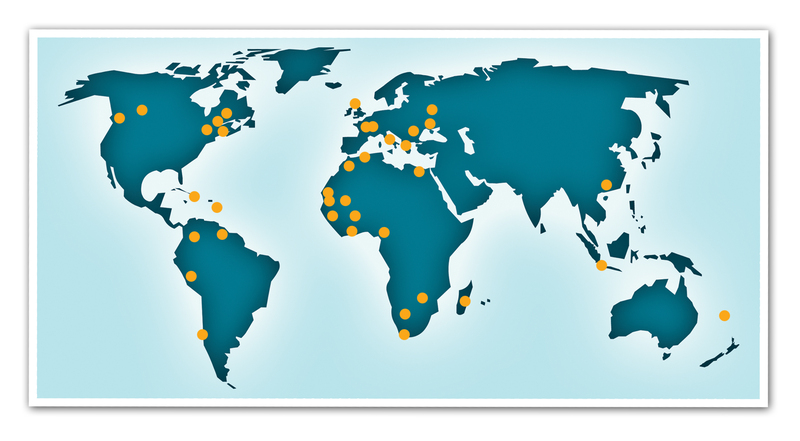 We look forward to solidifying our intercultural workplace and welcoming more cultures and nationalities to this world-class global mining company. The Mecheshoo Agreement is a binding agreement that governs the long-term working relationship between Stornoway and the Cree parties during all phases of the Renard Diamond Project. It provides for training, employment and business opportunities for the Crees during project construction, operation and closure, and sets out the principles of social, cultural and environmental respect under which the project will be managed. The Mecheshoo Agreement includes a mechanism by which the Cree parties will benefit financially from the success of the project on a long-term basis, consistent with the mining industry’s best practices for engagement with First Nations communities. 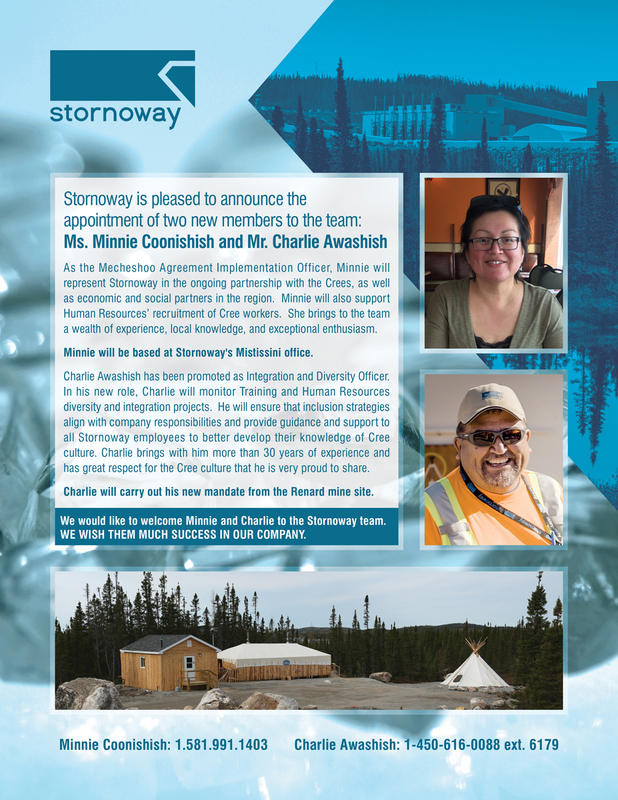 Stornoway takes great pride in the Mecheshoo Agreement and the relationship it has developed with the Cree Nation. We value the support from the Cree Nation and are dedicated to continued respect towards all parties involved in building and operating Québec’s first diamond mine, ensuring that we respect the environment, the people and the future. Working for Stornoway means working with a Company that is dedicated to the environment it works in and the people it works with. We have the Courage to Care about each other and each other’s future. 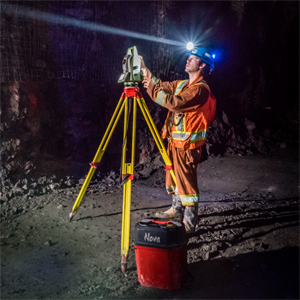 Stornoway seeks talented and passionate people who will be proud to work for a world-class diamond mining company. Our Human Resources Policy sets out our values. We invite you to read our policy as it is an inherent part of each individual person who makes up the Stornoway team. Do you have the qualities and values we are looking for?